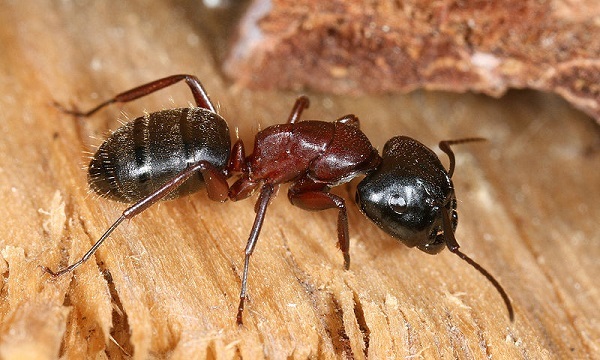 The amazing Camponotus saundersi is most commonly found in the southern part of Asia. (Bluthgen 2010). Malaysia, a country found in the southern region of Asia, is known for its wet, tropical rainforests. According to MOSTI (Ministry of Science, Technology) the monsoon season in Malaysia usually commences in early November and ends in March. Monsoons, which are periods of heavy rainfall, create a perfect environment for these little critters. In other words, the area that this species particularly thrives in is moist, warm, and dense with humidity. The home of these creatures is unique in of itself. This species of ant shows a wide variety of adaptations to its plant-bound life. The queen ant, with her large and powerful mandibles, has the ability to find a suitable Macaranga puncticulata plant and chew a hole in it! (Federle et al. 1998) A relative to C. saundersi, C . colobopsis, is morphologically similar and shares many traits with C. saundersi. Therefore we are able to use C. colobopsis species to generalize the overall characteristics. Within the habitats of the creatures, nests were found exclusively inside the domatia of M. puncticulata. Due to this life style there is strong intraspecific competition for host plants during several stages of the colony development. This was observed through the pushing of queens to inhabit the same young plant. A battle, if you will, of the most powerful queen. All and all, the relationship between the plant and the ant is a beneficial one. The ants reduce other competitors that would take up the space, and resources of the M. puncticulata plant, and the plant gives the ant protection and shelter. The process of colonizing one of these saplings goes a bit like this. The queen ant flies around until she discovers a perfect Macaranga puncticulata leaf. After landing, she crawls up and down repeatedly, looking for the largest diameter of the plant. She then, if not disturbed, sheds her wings and begins to chew a hole at the most favorable spot and crawls in, sealing the opening behind her. At this point, she usually doesn’t leave, and after a month the first working ants appear and break through the sealed opening (Federle et al. 1998). To see how this organism adapts to better thrive in its habitat, be sure to continue to the form and functions page!